This is for the real fashionista. The chick that stays in tune with what Chanel and Alexander McQueen tell her to do! LOL No, but really. This year is the year of expressing yourself. The universe has made it so far hahaha let's thank the aliens for not taking over this year by showing off our super cool, outta this world styles. While it's still pretty warm, let's check out this clear plastic trend, I love it! 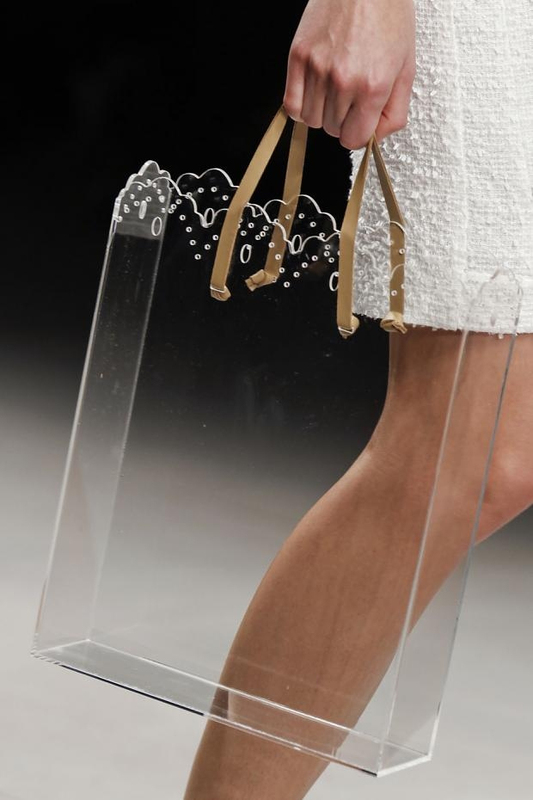 Here's a mix of designers' take on the clear plastic fabric trend. The first and last clear skirts are from Sorella Boutique. http://sosorella.com/ One of my fav boutiques right now (By the way). This is such a daring trend, it will test your styling abilities completely, haha. Anyways, im diggin it! Are you?